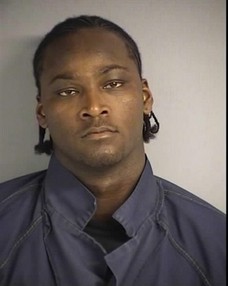 Fresh off media day (which is pure gold regarding awkward photos and pointless news items), word came out that Kwame Brown was arrested over the past weekend. So what if the guy has the worst hands in the history on the NBA, is stealing $9.1 million from the Lakers this season and is the worst first pick overall in the NBA draft in the history of The League... one thing is does well is get his name on the police blotter. 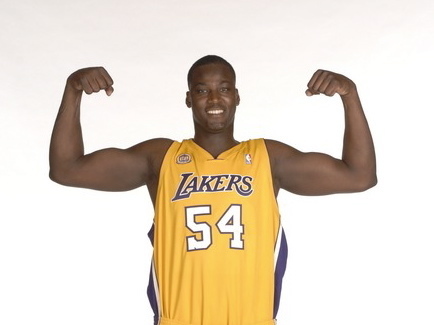 According to the OC Register, "Brown was arrested in August 2003 for driving under the influence. In January 2006, he was cited in a police report as having destroyed a man's birthday cake. In May 2006, Brown was charged with sexual assault but was not prosecuted." Mix in last weekend and we see Kwame's true talent.